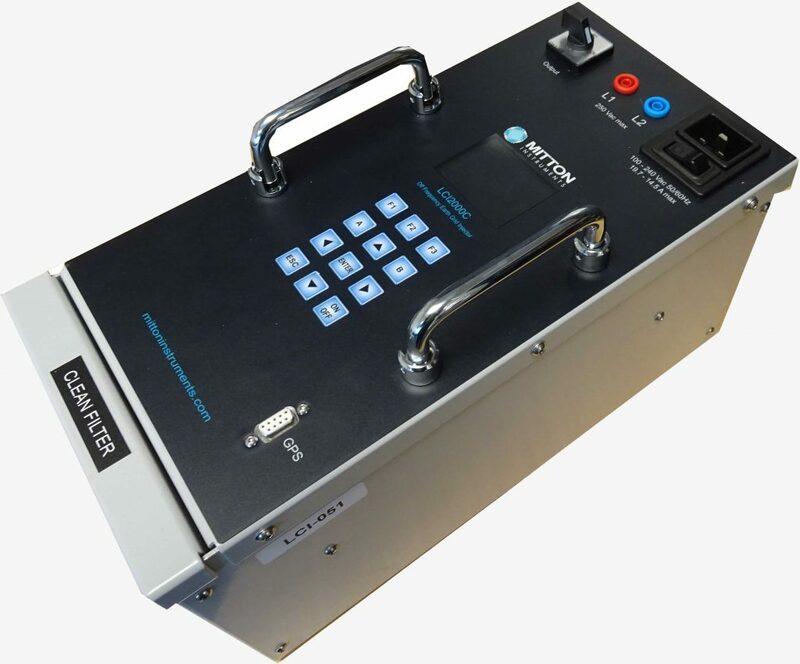 Mitton Instruments specialises in manufacturing earth grid test equipment. Our equipment has been developed after many years of practical investigation and testing. Our specialist equipment is designed for ease of use and understanding, robustness and above all, to work in the demanding environment of high voltage transmission and distribution systems. Injects an off grid frequency constant current into the earth grid to simulate an earth fault. Designed to measure the earth electrode resistance of Single Wire Earth Return Systems. 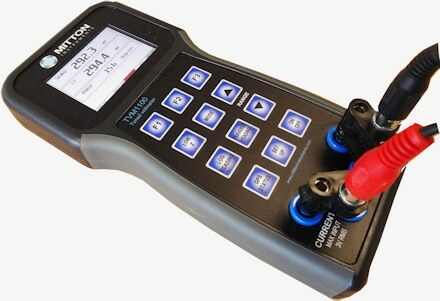 Specifically designed for use with the LCI to detect the voltages generated by the injected current. A 4-terminal instrument designed for switchyard use, featuring portability and high noise rejection. 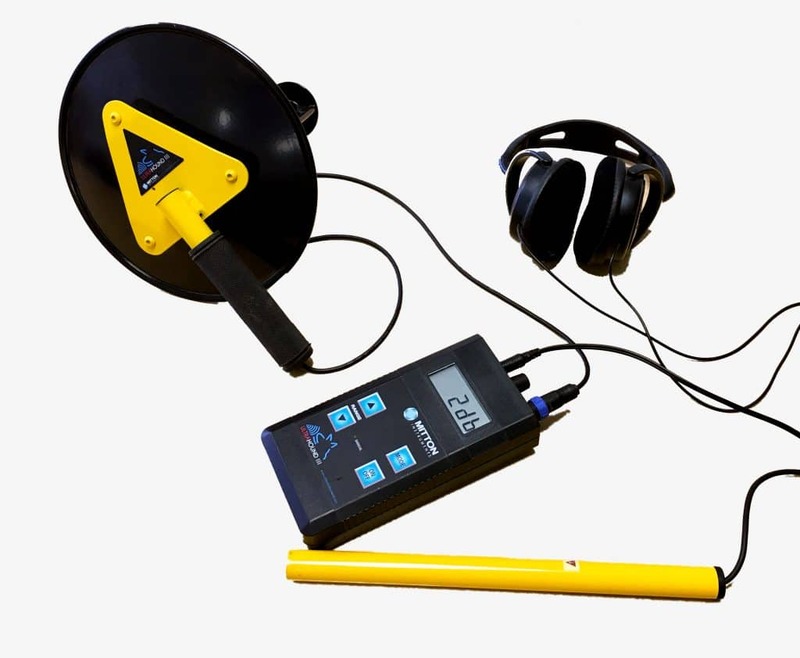 A versatile 4-terminal earth tester suitable for the measurement of soil resistivity, electrode and joint resistance. Highly directional ultrasonic detection of high voltage discharge and corona. Easy to use, designed for large earthing systems. The LCI2000C injects a constant current into the earth grid. The test frequency is variable from 45 Hz to 65 Hz, in 1 Hz steps. This provides a unique test condition and the signal can be easily identified when combined with the TVM1100 Tuned Voltmeter. The earth grid characteristics including impedance, touch, transferred, step voltages and current splits can be determined. An optional stepdown transformer is available to achieve test current. The TVM1100 is designed for use with the LCI2000C injection unit to detect the voltages generated by the injected current. Due to its excellent noise rejection very low levels of test voltage may be identified, even where the background noise levels is high. Such noise may result from residual voltage on the earth grid, electric field coupling or induction into test cables. The TVM1100 has a high input impedance to ensure accurate reading of prospective touch, step and transferred voltages. It also has a switchable low input impedance (1 kΩ) to simulate a person’s body impedance. The TVM1100 includes a second input for a flexible or clamp CT to enable current splits and associated phase angles to be measured, as well as GPS tracking and data logging. The GPS facility is ideal for the earth potential rise traverse while the data logging enables any readings to be recorded. 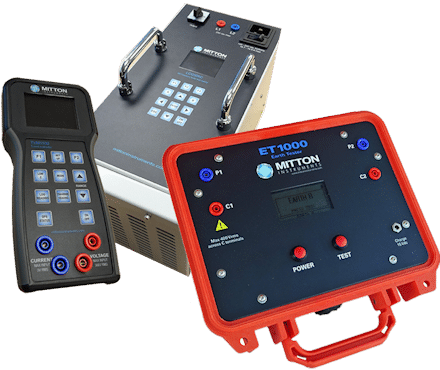 The ET1000 is a versatile 4-terminal earth tester suitable for the measurement of soil resistivity, earth electrode or grid resistance, conductor/joint resistance and primary plant bonding resistance. 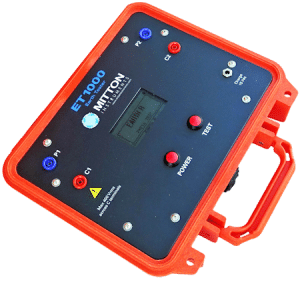 The ET1000 is especially suited to soil resistivity measurements due to its multi-function, high resolution, high noise rejection and high voltage output feature (which is used to overcome high current electrode contact resistance in sandy or stony soils). Single Wire Earth Return Systems tester. 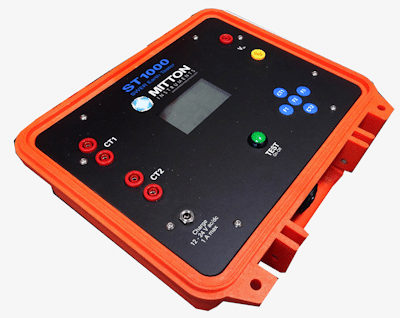 The ST1000 is designed to measure the earth electrode resistance of Single Wire Earth Return Systems. It uses the SWER transformer (isolation or distribution) load currents to provide the measurement signals and accepts two CT inputs and one voltage input. Testing can be carried out with the SWER in service and no disconnection of earth electrodes is required. 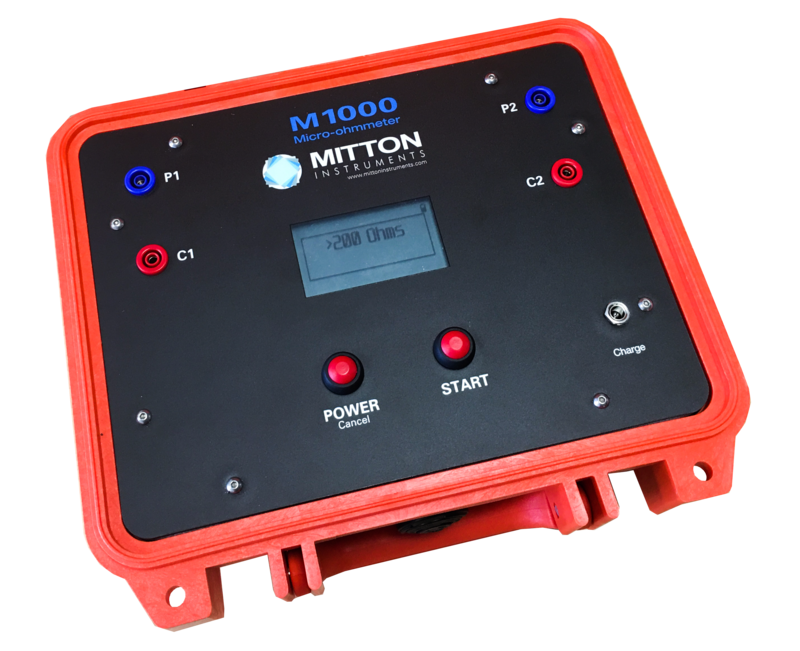 The M1000 micro-ohmmeter is 4- terminal instrument designed primarily for switchyard use and features portability and high noise rejection. Measurement of plant bonding and earthing conductor integrity can be carried out without de-energising the equipment. Low test current allows the use of long test cables to reach equipment. The Ultrahound is a highly directional and sensitive partial discharge/arc and corona detector. Electric discharges in air emit broad spectrum noise and using ultrasonic techniques the source of any discharge can be traced. Electric discharging of outdoor power line components can cause radio and TV frequency interference or indicate possible future failure of equipment. The Ultrahound can be used from up to 30 m from the noise source. A separate short range direction wand is used for close inspection. Power line discharge & corona such as cracked insulators or bushings, faulty cable termination or damaged line hardware. Partial discharge of equipment (e.g. power cables, bushings, generator housing) under HV test (laboratory or in the field).